David A Lenius has been active in the Financial Planning profession since 1990. Mr. Lenius has graduated from The American College with the professional designations of Chartered Financial Consultant (ChFC}, Chartered Life Underwriter (CLU), Chartered Advisor for Senior Living (CASL), and Retirement Income Certified Professional (RICP). 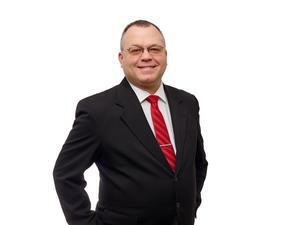 David is a CERTIFIED FINANCIAL PLANNER professional. David holds the Series 6, 7, and 63 licenses with the Financial Industry Regulatory Authority (FINRA). He is a registered representative with Woodbury Financial Services, Inc. Dave also has his Life, Health, Property, and Casualty licenses from the State of Wisconsin. These licenses have given Dave an extensive knowledge of regulations and policies from which to draw on during the financial planning process. Mr. Lenius focuses his practice in the field of Comprehensive Financial Planning with an emphasis on the special needs of retirees. He educates his clients in a comprehensive and caring manner so that they are comfortable with the vital decisions thay are making for themselves and their loved ones. Dave's goal is to provide committed service that helps his clients achieve their present and long term goals for themselves, their loved ones, and their communities. David is a member of the Estate Planning Council of Northeastern Wisconsin. David and his wife Carol have been lifelong residents of Sturgeon Bay and have two children, Alyssa and Brady.